This wrongful death claim was filed in Prince George's County after a woman's esophagus was perforated during a diagnostic endoscopy and her doctors failed to correctly diagnose her postoperative pain for two days. It was filed in Health Claims Arbitration on January 23, 2018, and it is the 38th medical malpractice case filed in Maryland this year. A woman with a history of weight loss surgery presented to Largo Medical Center complaining of abdominal pain. The gastroenterologists at Kaiser recommended that she undergo an esophagogastroduodenoscopy (EGD) to explore her upper gastrointestinal tract and determine the cause of her pain. The woman was medically cleared for the procedure, and scheduled an EGD for the following week. In her EGD report, the doctor who performed the procedure noted that the woman tolerated the procedure well and her esophagus appeared to be healthy with no ulcers or erosion. The woman was discharged from Largo Medical Center on the same day. On the first day following the EGD, the woman called a nurse at Kaiser to complain of a very sore throat, pain with swallowing, vomiting, and spitting up blood. After speaking with a doctor, the nurse returned the woman's call and relayed the doctor's orders to take throat lozenges, gargle with salt water, and stay hydrated. If she continued to suffer from vomiting and a sore throat, the woman was advised to call back for an appointment. The doctor also ordered Pantoprazole medication for the woman to pick up. The woman called Kaiser again on the second day following the EGD with the same continued complaints. She arrived at the Kaiser Largo Urgent Care Facility for an emergent consult regarding her escalated symptoms of throat tightening and difficulty breathing. The emergency department nurse noted that the woman was unable to speak in full sentences. 90 minutes later, the same nurse reevaluated the woman, reporting a sore throat, agitation, drooling, trouble swallowing, neck pain, neck stiffness, voice change, and choking. The woman's urgent care doctor unsuccessfully attempted to call the GI clinic multiple times for a consultation and took the woman for a neck CT. The CT showed severe swelling with foci of gas, suggesting that the woman's esophagus had been perforated during the EGD procedure. The woman was transferred to MedStar Washington Hospital Center where she underwent an emergency tracheostomy. A note in the operative report says her airways had filled with such an excess of fluid that no anatomical landmarks could be identified. She had several additional operations and medical procedures but continued to suffer from acute respiratory distress syndrome and septic shock. Ultimately, nine days after her esophagus was perforated during the EGD, the woman died at Washington Hospital Center. As this case shows, esophageal perforation is a potentially lethal disease process. Time is of the essence with regards to diagnosis and therapy in an effort to prevent complications related to overwhelming infection/sepsis. Early detection is key. Perforations detected within the first 24-72 hours often can be repaired primarily by surgical intervention or treated with a covered esophageal stent. In this case, the disease progressed pretty quickly. Perforations detected in a delayed fashion frequently require an esophagectomy with end esophagostomy. So the magnitude of intervention is often directly correlated to the delay in diagnosis. The concern here appears more focused on the delay as opposed to the magnitude of the response. The most common cause of esophageal perforation is instrumentation, when surgical equipment is used during an endoscopy (such as EGD). Perforations occur during approximately 2.6% of diagnostic endoscopies with instrumentation. A perforation alone is rarely malpractice. After the esophagus is perforated, bacteria and digestive juices can escape the esophagus and cause severe infections, which often lead to multi-organ failure and death. The high risk of sepsis means that time is of the essence, and early diagnosis can save lives. The mortality rate of early diagnosed cases is less than 10%, but a 24-hour delay causes the mortality rate to rise up to 66%. After 48 hours, the perforated area is often inflamed and fragile, making it near-impossible to close the tear. Pain is the most common symptom of esophageal perforation. After severe retching - which is what happened here -- patients develop profound chest and abdominal pain, rapidly become critically ill with fever and shock, and common radiologic studies usually provide clues suggesting the correct diagnosis.Because the patient in this claim complained of pain directly after her EGD, perforation should have immediately been expected and addressed. According to the plaintiff's expert witness, a doctor specializing in gastroenterology and hepatology, it is very likely that the woman would have survived if her doctor had performed the EGD appropriately, noticed the perforation during surgery, and/or immediately and correctly interpreted the woman's postoperative complaints. The defendants in this case are going to hang their hat in part on an article that evaluated 29 cases of esophageal perforation at the University of Alabama Hospitals that found that most " instrumental perforations were suspected during or shortly after the procedure." Patients who had spontaneous perforation had an average time before confirmation of the perforation was 48 hours." Failing to perform a proper EGD. Failing to timely repair the woman's perforated esophagus. Failing to recognize and respond to the woman's symptoms. 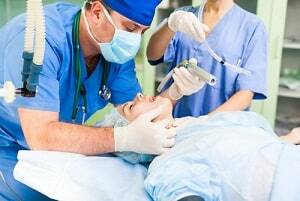 Wrongful Death: The woman's death was directly caused by her doctor's negligent EGD performance and substandard postoperative care. Survival Action: Before she suffered death, the woman sustained painful injuries, inconvenience, discomfort, disability, and pecuniary loss as a result of her doctor's negligence. Respondeat Superior: Mid-Atlantic Permanente Medical Group is responsible for the negligence of its agents and employees. View examples of settlements and verdicts in Prince George's County. Read about other malpractice claims against Kaiser Permanente. Learn about the different types of surgical malpractice.